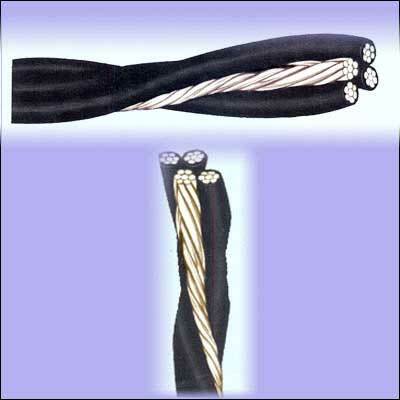 We have pioneered in supplying Aerial Bunched Cables. The Aerial Bunched Cables that we offer are widely used for power distribution in rural and congested areas with narrow lanes and by-lanes. These Aerial Bunched Cables are specially designed conforming to IS: 14255 quality standards, in order to ensure high performance. Our Aerial Bunched Cables are highly demanded by the clients, owing to their striking attributes such as higher level of safety and reliability.. Type Nominal Sectional Area No. of Strands Max. Linear Resistance At 20 Deg. C Min. Conductor Dia. Min. Breaking Strength Max. Breaking Strength Max. Max.